Please keep an eye on this page for up-to-the-minute offers! Our email newsletter brings you seasonal happenings on the island as well as special deals and gift ideas. Don’t miss out! 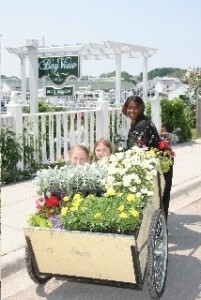 Sign up below or view the Bay View B&B summer newsletter. 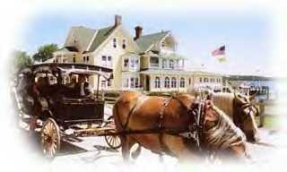 These are great times of the year to enjoy Bay View and Mackinac Island. Book early to secure your favorite room at this great price! When you book any Friday & Saturday night combination during the month of May or October, you get the adjoining Thursday or Sunday night FREE. When you book any weekday, Sunday through Thursday, you pay the already discounted low rate for the first night, and each additional night is 1/2 price. We’re always happy to discuss availability and details of this offer with you. Call us at (906) 847-3295. Don’t just take our word for it. 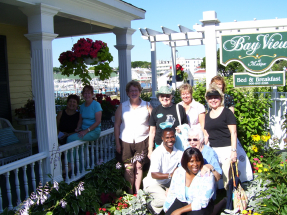 See what some of our recent guests have to say about Bay View! Perhaps you have classmates, friends, or relatives you haven’t seen in awhile? Wondering how to get the gang together in one place, at one time, with plenty of activities to please everyone? We have just the solution; suggest everyone meet at Bay View! Our twenty rooms and suites are suited to a variety of tastes and needs – there’s truly something for everyone. Enjoy wine and cheese, and a beautiful Straits of Mackinac sunset, on the sundeck. Join in the veranda room for a family breakfast. Or let us help organize activities, events and outings on the island. We have some great suggestions that will appeal to even the most discriminating traveler. Slowly beat 8 ounces cream cheese until fluffy. Gradually add in 1, 14 ounce can sweetened condensed milk and beat until smooth. Add 1 egg and 3 Tablespoons lemon juice, mix gently for 30 seconds. Pour into prepared graham cracker pie crust. Bake in pre-heated 300 degree oven for 55 minutes – remove and let cool. Leave plain or top with strawberries and whipped cream. For a complete Bay View experience, serve with a cup of Bay View Blend Coffee. Enjoy! Do you have a favorite Bay View vacation photo? We’d love you to share it with us! Look through your photos from your Mackinac Island getaway, pull your favorites that capture special moments (or a great shot of Bay View) and email them to us. If we use one of your photos on the site, you’ll receive a special Bay View momento! If you don’t have a photo, but instead have a great Mackinac Island vacation story you would like to share, send that to us as well as we’d be happy to include it on our website.